Catch up on the top 10 A&E industry blogs from 2018 to ensure you are set up for success in 2019. HEY DELTEK, WHAT MAKES YOU SO SPECIAL FOR CONSULTING FIRMS? Developed by the largest Cloud ERP solutions provider for project-based industries, Deltek Vantagepoint was designed by consultants for consultants. 8 critical components consulting firms must have when choosing a solution to run their business. Here are 10 tips for sticking with your plan and making 2019 your most effective and organized year to date. 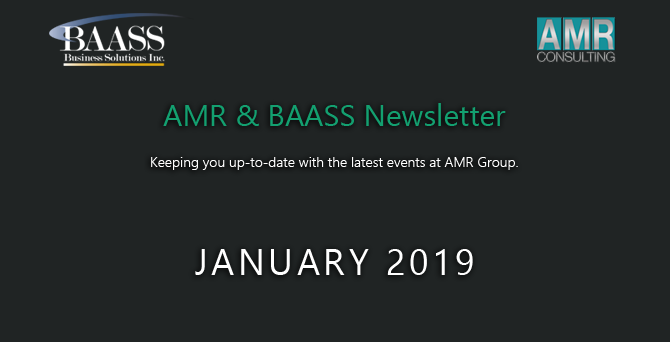 You received this email because you are subscribed to AMR & BAASS Updates from BAASS Business Solutions.